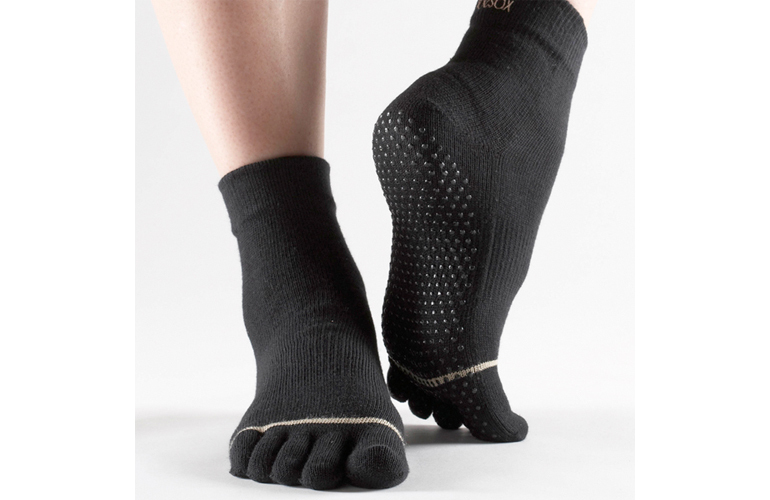 Allow your toes to move freely and stay cool with these moisture wicking toe socks. Perfect for that “barely there” feeling when paired with your favorite Xeros. 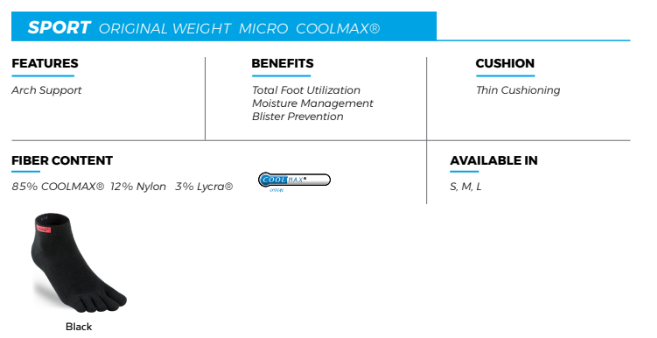 The Performance Micro Toesock by injinji® is engineered to separate and surround your toes with soft and moisture-wicking CoolMax fabric blended with durable Nylon and Lycra to create an anti-friction membrane that is lightweight and breathable. Seamless in construction, the Performance Toesock forms to every contour of your foot, allowing for true restriction-free and natural movement from your heel to your five toes. These socks are different than our other ToeSox product because they are lighter, not made of cotton and don’t include non-slip grips. This design encourages healthy circulation and eliminates skin-on-skin contact between your toes to prevent blisters and keep your blood moving without interruption. The Anatomical Interface System (AIS) is engineered to separate your toes and promote healthy digital alignment while the fabric blend and sock design effectively manages moisture. No longer getting callous build-up between my toes due to friction. This is a big deal with my Type 1 Diabetes! When they say they help keep your feet cool...I’ve always doubted such things but these sock do just that. Wore them in some high humid days and hot sun, when went to take them off I was expecting a “wet” or smelly sock but there wasn’t. My feet felt cool and weren’t smelly. Great socks! 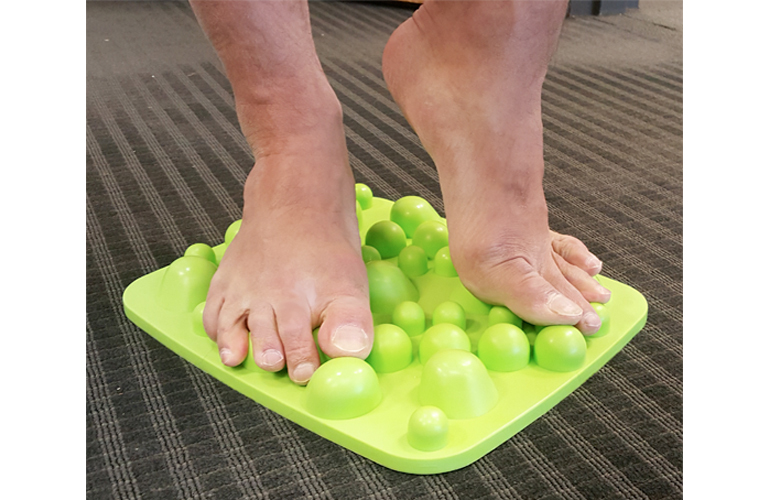 These are a real game changer when it comes to promoting foot health. As soon as I put them on, I felt a relaxation come over my feet. My toes are no longer smashed together and no more sweaty toes. Very comfortable to wear, so comfortable that I barely wear shoes while in the house at all. 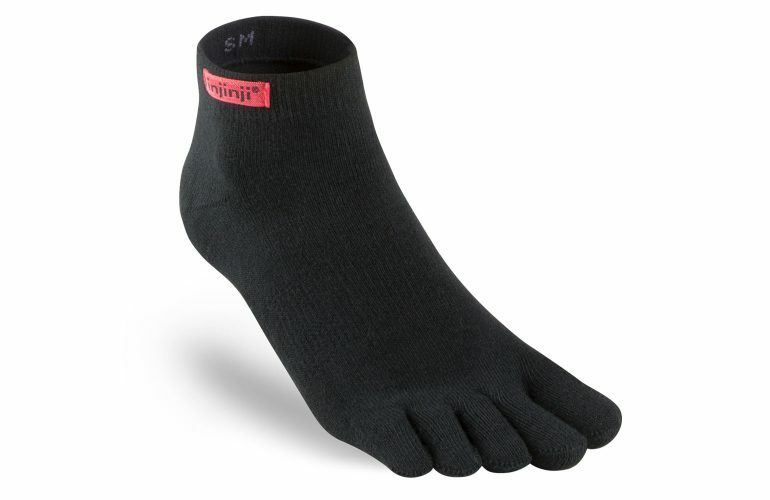 Now I'm using Correct Toes with my Injinji socks and soon my feet will be in tip-top shape.